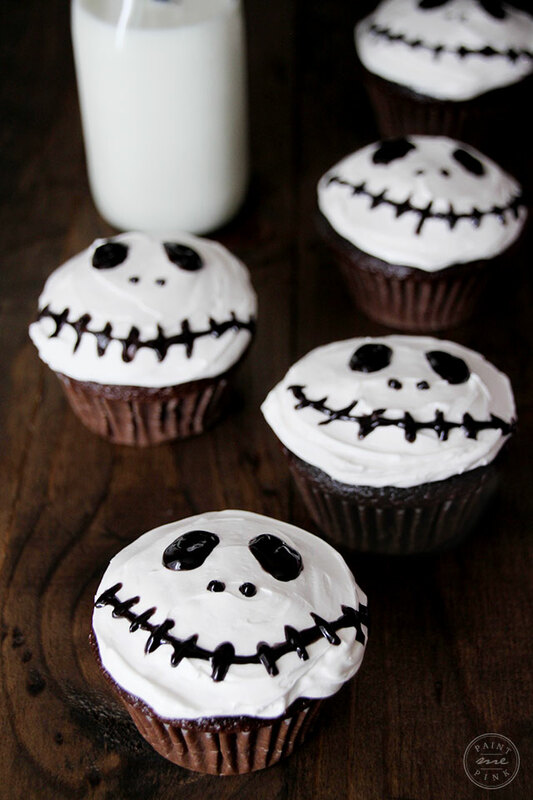 I’ve been making these spooky Jack Skellington cupcakes since Juliet was 3 years old, that’s about 5 years now. And it’s become quite the little tradition to make them in our home every October. 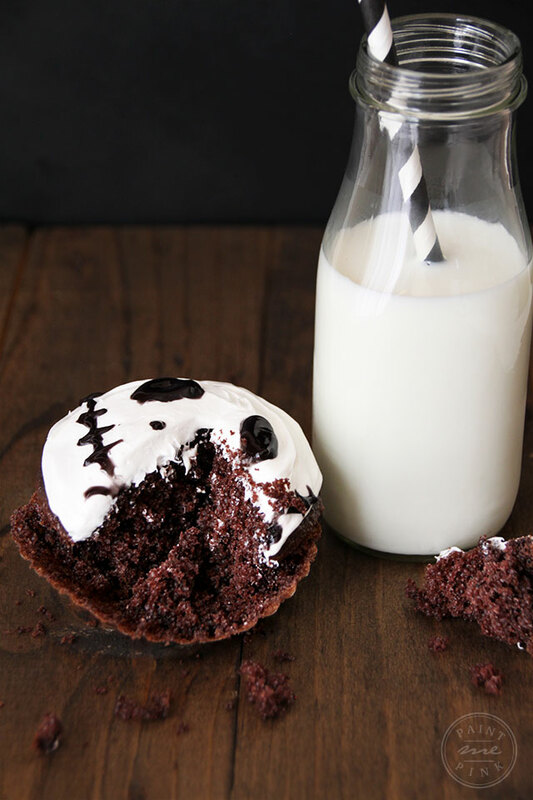 What I love about these cupcakes is the fact that they are super easy to make! 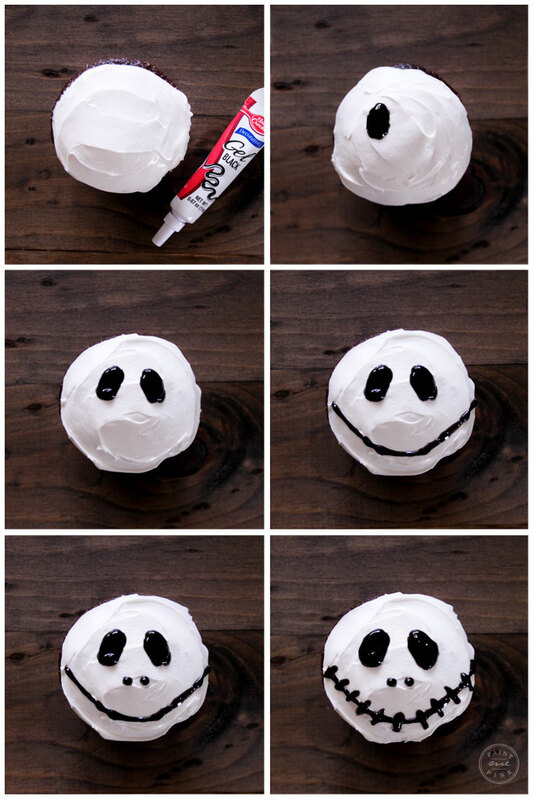 Why are they super easy to make, you ask? Well, I used box chocolate cake mix! Sometimes it’s ok to cheat with box cake mix, I totally understand and I also know that not everyone likes to bake. I’m not a baker, infact I’ve always been a cook and baking has not always been easy for me. It’s taken me years to finally be comfortable with baking and honestly my baking skills still need a lot of work. This year I wanted to make these cupcakes from scratch, but that’s not how I made them the first time or the second time or the third time. 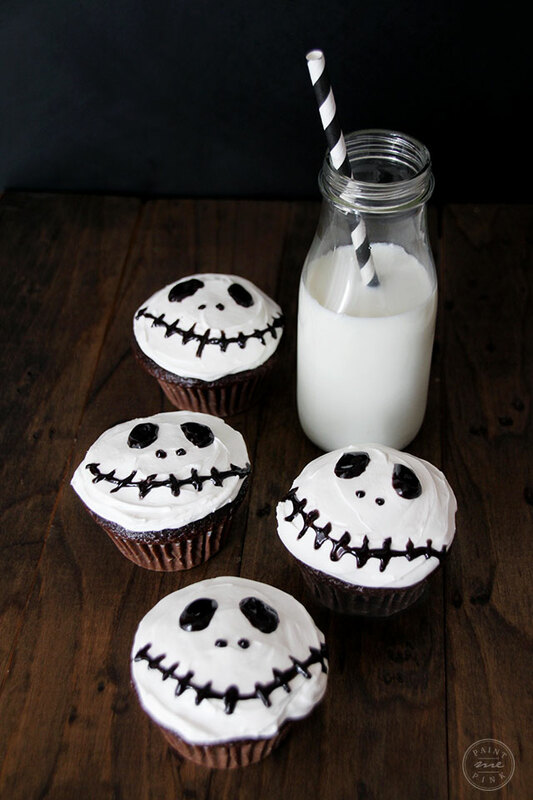 I decided that I was going to continue making these Jack Skellington cupcakes out of box cake mix, plus our little ones don’t taste the difference right now lol. 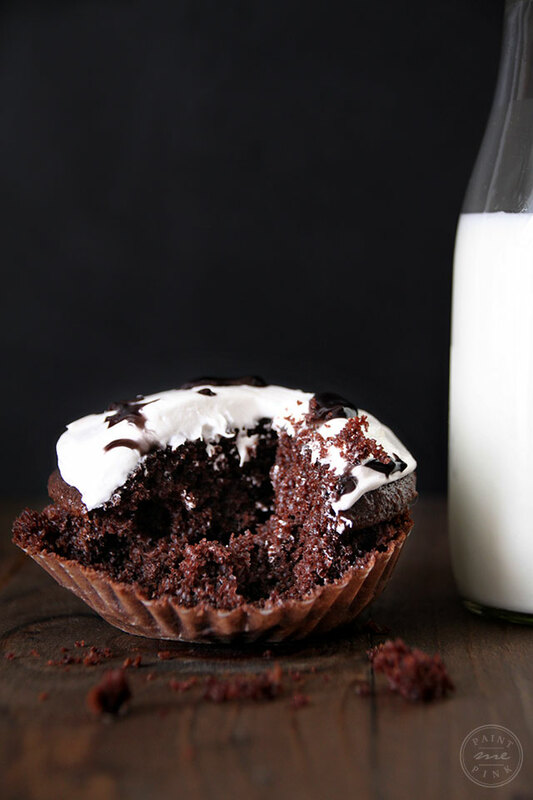 With a cold glass of milk these chocolate cupcakes are the perfect treat. 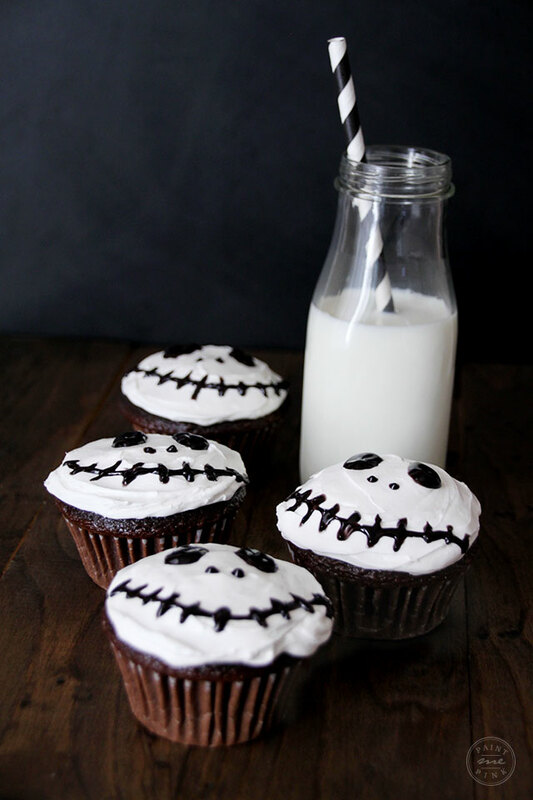 Our little tradition making these Jack Skellington cupcakes will continue and I hope that someday our children will continue making them with their children, whether they use box cake mix or make them from scratch.